10in x 12in fabric art panel Zippered Pouch Kit. Jody's original artwork that quickly creates a zippered pouch. 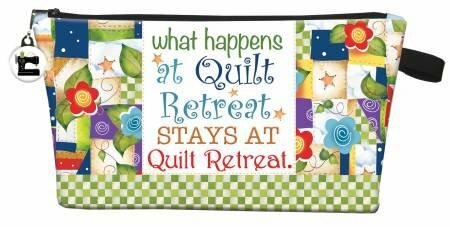 Kit includes the art panel, instructions to sew the pouch and a zipper pull charm that coordinates with the art panel design. The finished pouch is 10in x 5in x 2in .